Broomrape family. Eudicots. Many of the genera, including Castilleja and Pedicularis, were previously included in Scrophulariaceae (the figwort family). The genus Castilleja now includes many plants formerly in Orthocarpus (owl's clover). 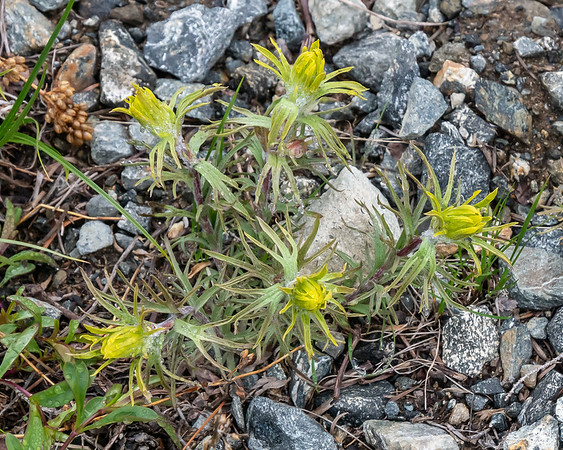 Castilleja arachnoidea (cobwebby paintbrush). Since these were just coming out, I'm far from sure on the identification. C. pilosa (parrothead indian paintbrush) is possible but it's not clear they grow in the Trinities.